Time-honored design merges with 21st century innovation in our Double Hung windows. Dating back to 18th century New England, Double Hung windows have been the most popular American residential window for more than 300 years. This window’s staying power is due to both its attractiveness and its convenient design, which allows it to be opened from the top or bottom. 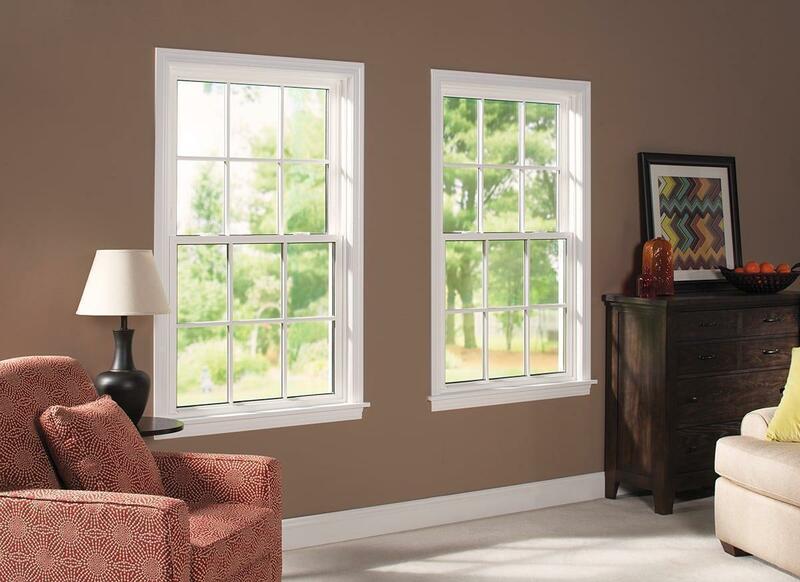 Our Double Hung replacement windows update this feature with sophisticated technology that lets you tilt each sash into the interior of your home when cleaning. A fiberglass structural core makes our Double Hung windows extraordinarily durable, guaranteeing peak performance year after year. Not only are Double Hung windows easy to operate; they’re eco friendly. With a U-Factor rating between .19 and .30 (depending on the glass package you select), a Solar Heat Gain Coefficient between .24 and .29, and the industry’s lowest air infiltration rating, our Double Hung windows are some of the most energy efficient on the market. NEOPOR® rigid thermal insulation main frames and triple weather stripping help homeowners see dramatic savings on their heating and cooling costs while contributing to a greener planet. Our Double Hung window frames are available in a vast array of materials that include vinyl, fiberglass,composite, and wood. All come in a variety of color and veneer options that blend in seamlessly with the rest of your home. Of course, the glass inside the frame is just as important. Our Double Hung replacement windows provide more visible glass area than other competitive brands. Supplemental options can be added to help preserve your pristine views with minimal effort.